Covercraft developed the Ultratect car covers to provide maximum protection from UV rays and from fading during extended outdoor use. 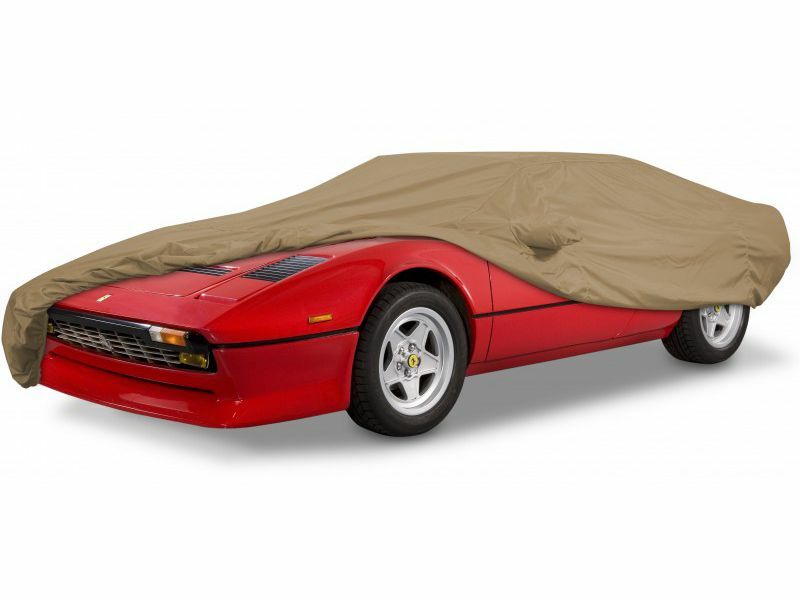 Ultratect car covers are made with solution-dyed WeatherMax SL fabric. This fabric is woven from double 150 denier yarns in both the machine and cross direction, giving it higher strength and better water resistance. Since each yarn is a solid color rather than being dyed, the fabric is also very fade resistant. Covercraft also gives the Ultratect car covers a highly water repellant finish of HydroMax on both sides to also increase water repellency. Ultratect car covers give you the best combination of breathability, water-repellency, and fade protection under prolonged exposure to the sun or other harsh elements. Covercraft Ultratect car covers are made in the USA and protected by a 4 year warranty. Covercraft Ultratect car covers feature a 5 year warranty. The Covercraft Ultratect car covers offers an easy at home no drill installation. For additional information see the install manual below or call us at 1-877-216-5446 or 701-253-5906.